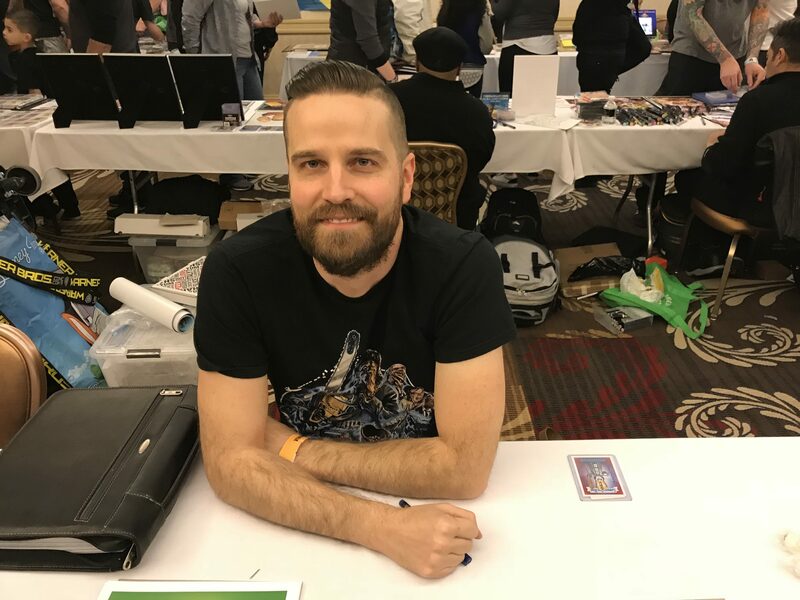 Brent Engstrom has been the workhouse artist for Topps over the last year, especially when it comes to Garbage Pail Kids. 2017 saw Brent paint nearly 150 GPKs, as well as cards for many other brands. Besides the regular retail sets, Brent also was the main artist for the popular online GPK Classic release last year. Brent is a man of few words, he does his talking with a paintbrush. However, he was nice enough to sit down with me at Gross Card Con in Las Vegas for this interview. We talk about the process for submitting concepts to Topps, his passing John Pound recently for most GPKs painted, and his thoughts on painting cards digitally vs. traditional painting. GPKNews – 2017 was a very busy year for you. You painted the most GPKs last year. My count had nearly 150 individual GPKs cards, and that doesn’t include other brands like Wacky Packages, Mars Attacks, etc. Do you ever get a vacation? Brent Engstrom – Ha! Not really unless I’m at a thing like this. Really I do make time for myself. GPKNews – It appears 2018 will be busy for you once again. You had a number of cards in the We Hate the 80’s set. When the process starts for a set retail set like that, how many concepts do you generally submit, and what percent get approved? BE – It depends on the time frame we have to submit. We submit anywhere from 30-100 concepts. If you submit 100 concepts you don’t get that many approved, so maybe 30 of them. Then later sets they might pick up concepts that fit into those sets. GPKNews – How much time do you think you spend on each retail card? From concept, to pencil rough, color rough, to final painting? BE – That’s a hard question. From the thinking of it, its a lot of work. Getting it airbrushed and the concept approved and everything takes a some time. GPKNews – Have you passed John Pound yet in total number of published GPKs painted? Its got to be pretty close by now right? BE – I think so. I don’t know his exact number, it varies because he did a lot of other cards like the large cards. Its pretty close, if not it will be soon. GPKNews – Whats are your thoughts about passing Pound? You’re the GPK king now, right? BE – Ha! No you can’t top John Pound. He’s the best! 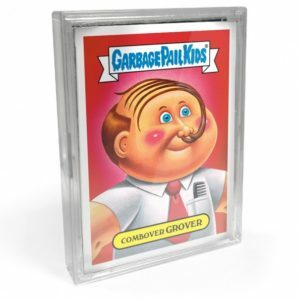 GPKNews – You were the primary artist on the online GPK Classic set released last year. While collectors had issues with Topps on the structure and pricing of the set, for the most part the feedback on the art in the set was overwhelming positive. 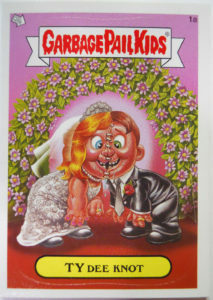 How did the idea for the GPK Classic set come about? BE – I think it was from the feedback from people. Some people liked the political cards and some didn’t. I tried to appeal more to the people who like the classic cards. GPKNews – When coming up with concepts and doing the art for GPK Classic, what was your thought process since there was no theme for the set? BE – It was a lot different, more open. I got some ideas in there from things I submitted years ago. Things I liked that they passed on for one reason or another. It was cool to finally get those in a set. 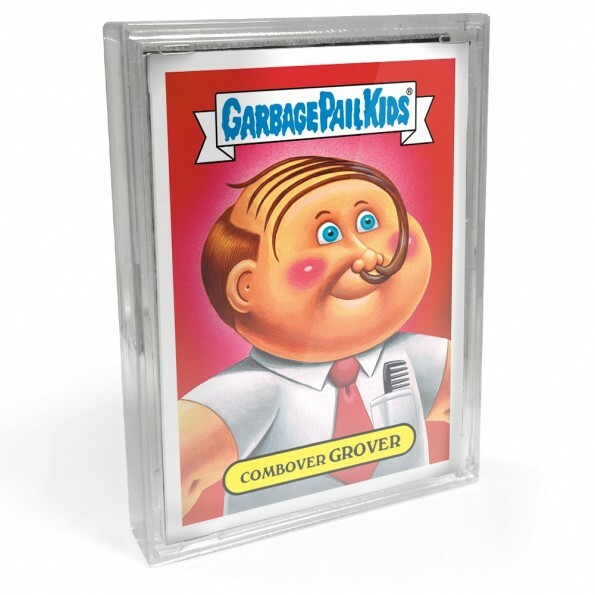 GPKNews – Do you think we will get a Series 2 GPK Classic set? BE – I hope so, but I don’t know for sure. I don’t know how well that sold, but I hope so. BE – I actually painted the ANS 7 set digitally. It seems to take just as long to paint them digitally. I thought it would save some time. They almost took longer because I would zoom in and really detail things. It hurt my eyes more because I would look at a screen for hours. I prefer traditionally painted, I like the look of them better. GPKNews – Do you think we will see the day where the main way of creating GPKs are done digitally, or will traditional painting continue to rule? BE – Its been a lot of fun, I like talking to all the collectors. I like it.